Admit it. When you think of the perfect President, Abraham Lincoln is the guy you dream about. The craggy, homespun looks, the humble origins, the brilliant wordsmithing, the roving intelligence, the heroic devotion to equality, the steadfast strength in war, the humble forgiveness in peace — you can’t IMAGINE a Presidential pitch more perfect. When you look at the 2008 Presidential contenders, you unconsciously compare each and every one of them with Lincoln, trying desperately and unsuccessfully to find one that matches up. You note with approval Barack Obama’s decision to announce in Springfield, Illinois, Lincoln’s birthplace, in order to tie himself to the great man. So it may surprise you to know that, when it came to observing habeas corpus rights during wartime, even Honest Abe was too weak to avoid abusing his unfettered Presidential power. The story of Lincoln’s revocation of habeas corpus for Southern sympathizers is instructive because it shows that, no matter how much honesty, integrity, or humility a President possesses, he or she still needs to be held in check by the rule of law where civil liberties are concerned. But first, let me introduce you to a key player in the drama that’s about to unfold. Vallandigham was no fan of slavery and owned no slaves himself. Neither was he particularly enamored of the South. But he was staunchly opposed to the Civil War on states’ rights grounds. His was an ethical objection, not a self-serving one. He believed that states had the right to secede from the Union, and that the Federal Government had no right to regulate their behavior or their laws. In essence, Vallandigham was a pre-Libertarian, and a virulent one. The trouble began when, on September 24, 1862, President Lincoln suspended the writ of habeas corpus. 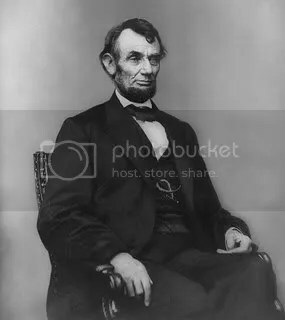 This decision on Lincoln’s part made it easier to arrest and try Northern civilians who agitated against the war, by military personnel if necessary. Vallandigham and those like him, of course, were in the Presidential sights from the beginning; indeed, the order was made specifically because of them. …all persons found within our lines, who commit acts for the benefit of the enemies of our country, will be tried as spies and as traitors, and, if convicted, will suffer death. He contrasted “between the life-long Unionism of the Democratic party, and the original and continuous disunionism of the Abolition (Republican) party?”. 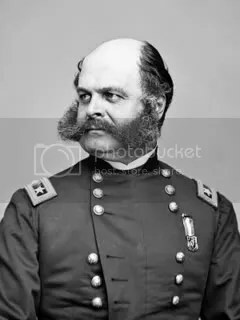 And, finally, he attacked the Lincolnites for their “monarchical usurpations.., the disgraceful surrender of the rights and liberties of the people by the last infamous Congress, and the conversion of the government into a despotism,” and most of all for their sanguinary war; a war that had sent many an Ohio boy home in a pine box. Vallandigham also referred to the President as “King Lincoln,” in the speech, which may have been what set Lincoln off. In any case, Vallandigham was arrested by Burnside’s army four days after delivering the speech. Denied a writ of habeas corpus, as was legal under Lincoln’s 1862 proclamation, Vallandigham was swiftly tried and convicted by a military tribunal of “uttering disloyal sentiments,” a ruling that was upheld by a federal circuit judge. He was sentenced to two years in a military prison. Vallandigham’s angry Ohio supporters burned the offices of the pro-Lincoln newspaper in Dayton. Resolved, That the democrats of New York point to their uniform course of action during the two years of civil war through which we have passed, to the alacrity which they have evinced in filling the ranks of the army, to their contributions and sacrifices, as the evidence of their patriotism and devotion to the cause of our imperilled country. Never in the history of civil wars has a government been sustained with such ample resources of means and men as the people have voluntarily placed in the hands of this administration. Resolved, That, as democrats, we are determined to maintain this patriotic attitude, and, despite of adverse and disheartening circumstances, to devote all our energies to sustain the cause of the Union, to secure peace through victory, and to bring back the restoration of all the States under the safeguards of the Constitution. Resolved, That while we will not consent to be misapprehended upon these points, we are determined not to be misunderstood in regard to others not less essential. We demand that the administration shall be true to the Constitution; shall recognize and maintain the rights of the States and the liberties of the citizen; shall everywhere, outside of the lines of necessary military occupation and the scenes of insurrection, exert all its powers to maintain the supremacy of the civil over military law. Resolved, That, in view of these principles, we denounce the recent assumption of a military commander to seize and try a citizen of Ohio, Clement L. Vallandigham, for no other reason than words addressed to a public meeting, in criticism of the course of the administration, and in condemnation of the military orders of that general. Resolved, That this assumption of power by a military tribunal, if successfully asserted, not only abrogates the right of the people to assemble and discuss the affairs of government, the liberty of speech and of the press, the right of trial by jury, the law of evidence, and the privilege of habeas corpus, but it strikes a fatal blow at the supremacy of law, and the authority of the State and federal constitutions. Resolved, That these safeguards of the rights of the citizen against the pretensions of arbitrary power were intended more especially for his protection in times of civil commotion. They were secured substantially to the English people, after years of protracted civil war, and were adopted into our Constitution at the close of the revolution. They have stood the test of seventy-six years of trial, under our republican system, under circumstances which show that, while they constitute the foundation of all free government, they are the elements of the enduring stability of the republic. Resolved, That in the election of Governor Seymour, the people of this State, by an emphatic majority, declared their condemnation of the system of arbitrary arrests and their determination to stand by the Constitution. That the revival of this lawless system can have but one result: to divide and distract the north, and destroy its confidence in the purposes of the administration. That we deprecate it as an element of confusion at home, of weakness to our armies in the field, and as calculated to lower the estimate of American character and magnify the apparent peril of our cause abroad. And that, regarding the blow struck at a citizen of Ohio as aimed at the rights of every citizen of the north, we denounce it as against the spirit of our laws and Constitution, and most earnestly call upon the President of the United States to reverse the action of the military tribunal which has passed a “cruel and unusual punishment” upon the party arrested, prohibited in terms by the Constitution, and to restore him to the liberty of which he has been deprived. Resolved, That the president, vice-presidents, and secretary of this meeting be requested to_ transmit a copy of these resolutions to his Excellency the President of the United States, with the assurance of this meeting of their hearty and earnest desire to support the government in every constitutional and lawful measure to suppress the existing rebellion. This was Lincoln’s Cindy Sheehan moment with regard to habeas corpus. The Albany petitioners weren’t disloyal Copperheads like Vallandigham. Though they were all Democrats (at least according to Lincoln), they stood with their Republican President as he soldiered on bravely through the war. But they saw in Lincoln’s actions toward Vallandigham a grave threat to the Constitution and to America’s national integrity. To his credit, Lincoln composed a lengthy reply to the Albany petitioners. (Bush, of course, would have just dismissed them outright, just as he dismissed Cindy Sheehan.) But to his everlasting disgrace, Lincoln’s response constitutes one of the most stunning dismissals of constitutional authority during wartime ever uttered by an American President. The resolutions, as I understand them, are resolvable into two propositions first, the expression of a purpose to sustain the cause of the Union, to secure peace through victory, and to support the administration in every constitutional and lawful measure to suppress the rebellion; and secondly, a declaration of censure upon the administration for supposed unconstitutional action, such as the making of military arrests. And, from the two propositions, a third is deduced, which is that the gentlemen composing the meeting are resolved on doing their part to maintain our common government and country, despite the folly or wickedness, as they may conceive, of any administration. This position is eminently patriotic, and as such, I thank the meeting, and congratulate the nation for it. My own purpose is the same; so that the meeting and myself have a common object, and can have no difference, except in the choice of means or measures for effecting that object. And here I ought to close this paper, and would close it, if there were no apprehension that more injurious consequences than any merely personal to myself might follow the censures systematically cast upon me for doing what, in my view of duty, I could not forbear. Shorter Lincoln: You guys say you’re so patriotic, so why are you questioning my actions? Are you traitors in patriots’ clothing? This provision plainly attests the understanding of those who made the Constitution, that ordinary courts of justice are inadequate to “cases of rebellion,” attests their purpose that, in such cases, men may be held in custody whom the courts, acting on ordinary rules, would discharge. It undoubtedly was a well-pondered reliance with them [the South] that in their own unrestricted efforts to destroy Union, Constitution, and law, all together, the government would, in great degree, be restrained by the same Constitution and law from arresting their progress. Their sympathizers pervaded all departments of the government and nearly all communities of the people. From this material, under cover of “liberty of speech,” “liberty of the press,” and “habeas corpus” they hoped to keep on foot amongst us a most efficient corps of spies, informers, suppliers, and aiders and abettors of their cause in a thousand ways. They knew that in times such as they were inaugurating, by the Constitution itself, the ” habeas corpus” might be suspended; but they also knew they had friends who would make a question as to who was to suspend it; meanwhile their spies and others might remain at large to help on their cause. Or if, as has happened, the Executive should suspend the writ, without ruinous waste of time, instances of arresting innocent persons might occur, as are always likely to occur in such cases; and then a clamor could be raised in regard to this, which might be, at least, of some service to the insurgent cause. Let’s stop for a second and see how Honest Abe stacks up so far against Georgie Dubya. Attacking the petitioners’ patriotism? Check. Declaring military tribunals beyond the reach of the Constitution? Check. Telling them to stop complaining, or the terrorists win? Check. Indeed, arrests by process of courts, and arrests in cases of rebellion, do not proceed altogether upon the same basis. The former is directed at the small percentage of ordinary and continuous perpetration of crime, while the latter is directed at sudden and extensive uprisings against the government, which, at most, will succeed or fail in no great length of time. In the latter case, arrests are made, not so much for what has been done, as for what probably would be done. The latter is more for the preventive and less for the vindictive than the former. In such cases the purposes of men are much more easily understood than in cases of ordinary crime. The man who stands by and says nothing when the peril of his government is discussed, cannot be misunderstood. If not hindered, he is sure to help the enemy; much more, if he talks ambiguously talks for his country with “buts” and “ifs” and “ands.” Of how little value the constitutional provisions I have quoted will be rendered, if arrests shall never be made until defined crimes shall have been committed, may be illustrated by a few notable examples. General John C. Breckinridge, General Robert E. Lee, General Joseph E. Johnston, General John B. Magruder, General William B. Preston, General Simon B. Buckner, and Commodore Franklin Buchanan, now occupying the very highest places in the rebel war service, were all within the power of the government since the rebellion began, and were nearly as well known to be traitors then as now. Unquestionably if we had seized ~and held them, the insurgent cause would be much weaker. But no one of them had then committed any crime defined in the law. Every one of them, if arrested, would have been discharged on habeas corpus were the writ allowed to operate. In view of these and similar cases, I think the time not unlikely to come when I shall be blamed for having made too few arrests rather than too many. Yes, you read that right: Lincoln was actually saying that we should have rounded up and arrested every single prominent Southern sympathizer in the military BEFORE they announced in favor of the Confederacy. Has even Bush ever displayed such utter gall in the face of Constitutional liberties? In one of history’s great ironies, on the very day the Albany petitioners passed their resolution, one of those Southern military men whom Lincoln would undoubtedly have arrested before Fort Sumter, the Virginian George Henry Thomas, was distinguishing himself as a Union General at the Battle of Chickamauga, singlehandedly preserving Union victory there and earning himself the moniker “Rock of Chickamauga” for his courage and valor. Had Lincoln’s suggestion been adopted at the outset of the war, Thomas would likely have sat out Chickamauga in a jail cell. In giving the resolutions that earnest consideration which you request of me, I cannot overlook the fact that the meeting speak as “democrats. ” Nor can I, with full respect for their known intelligence, and the fairly presumed deliberation with which they prepared their resolutions, be permitted to suppose that this occurred by accident, or in any way other than that they preferred to designate themselves “democrats” rather than “American citizens.” In this time of national peril I would have preferred to meet you upon a level one step higher than any party platform ; because I am sure that, from such more elevated position, we could do better battle for the country we all love than we possibly can from those lower ones where, from the force of habit, the prejudices of the past, and selfish hopes of the future, we are sure to expend much of our ingenuity and strength in finding fault with, and aiming blows at, each other. But, since you have denied me this, I will yet be thankful, for the country’s sake, that not all democrats have done so. Thus Lincoln refused to intervene in the decision of the military tribunal regarding Vallandigham. The Supreme Court concurred several months later, ruling in ex parte Vallandigham that, as a military commission was not a court, the Supreme Court thus had no jurisdiction over it. This case has been used by Alberto Gonzales to argue that an act of Congress would be necessary to assert judicial control over military tribunals. It’s important to note that ex parte Vallandigham was decided by the same Justices who were responsible for what is generally considered the most corrupt and political decision in the history of the Supreme Court — the 1857 Dred Scott case. Three of the four Justices who declined to hear ex parte Vallandigham were the same Justices who had ruled that Scott, a freed slave, could constitutionally be kidnapped and re-enslaved upon moving back to a slave state. Their rationale was that Scott had no legal standing to petition the Court because, as a black man, he was not and could never be a citizen of the United States. It was these hateful men who passed judgment on Vallandigham, a precedent used to this day to advocate for the extra-constitutionality of military tribunals. Despite his strident letter to the Albany petitioners, Lincoln didn’t really want Vallandigham kicking around a military prison, so he commuted Vallandigham’s sentence to banishment to the Confederacy. On May 26, 1864, just over a year after he had initially been arrested by Burnside, Vallandigham was sent through Confederate lines. The South understood that Vallandigham was of no use to them below the Mason-Dixon line, and they shipped him off to Bermuda, from whence he made his way to Ontario, Canada. 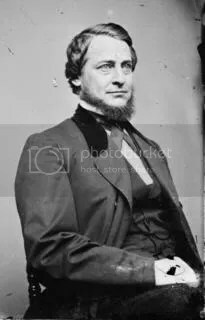 However, unlike the fictional Nolan, the real “Man Without a Country”, Clement Vallandigham, never came to regret his 1863 speech. And Vallandigham’s colorful career was far from over. He was nominated for Ohio Governor in absentia by his outraged Democratic friends back home, and waged a spirited campaign from his hotel room in Windsor, Ontario before losing to the Republican candidate, John Brough. Nevertheless, Vallandigham garnered 177,000 votes, an outstanding total for a convicted criminal. In 1864, when the Democrats held their national convention in Ohio, Vallandigham returned to his home state and publicly received the nomination for Secretary of War; Lincoln was in a politically precarious position (he barely won the election several months later over Vallandigham’s ticket) and dared do nothing to stop the agitator. After the war, the indomitable Vallandigham continued to run for public office in Ohio, though his celebrity as a martyr was somewhat dimmed by the cessation of hostilities. After several electoral defeats, Vallandigham resumed his law practice. This born showman met an appropriately showy end: in 1871, while demonstrating to a packed room how a gun might have gone off in a criminal case, Vallandigham accidentally shot himself. The point of this story is not to attack Lincoln’s record. Indeed, to me it only serves to make our greatest President more human because he was, in fact, fallible. It’s important to remember that the man biographer Harold Holzer described as “a slain national saint” was in truth an earthly being just like the rest of us. Understanding that fact makes Lincoln more approachable, and yet somehow renders his genius all the more astounding because he attained it with only an ordinary set of brains. Yet in acknowledging Lincoln’s incredible brilliance, we also must recognize that even a President as great as he was unable to stop himself from violating his opponents’ wartime civil rights. Few legal scholars today would argue that Lincoln’s actions in the Vallandigham case were constitutional; yet few in his own time dared to speak out against his flagrant abuse of the executive power. Not one in Lincoln’s own party dared pass judgment on their President’s decision. And if we cannot imagine a president more perfect than Lincoln, then we must also admit that we cannot imagine a President so inured to the expediencies of power that he or she would refrain in all cases from abusing it. Lincoln’s treatment of Vallandigham serves as an important reminder that no President is above thinking himself above the law. Therefore, the law can only be maintained and strengthened by a Congress capable of holding the line against an ascendant executive. We need to restore our Constitution by urging passage of the Habeas Corpus Restoration Act of 2007. Because if even Lincoln could violate habeas corpus rights without congressional oversights, what will other, assuredly lesser Presidents do when it is their turn to pass judgment over the rights of others? This entry was posted on Saturday, October 6th, 2007 at 8:09 pm and is filed under Uncategorized. You can follow any responses to this entry through the RSS 2.0 feed. Responses are currently closed, but you can trackback from your own site.